2. We adpoted 3-layer electroplating craft, so the color is more hard-wearing and glaring than before. 5. Reserved square hole on the back ensure great heat dissipation and watch charging. 12 months. Alritz offers hassle-free replacement or refund if any quality problems. 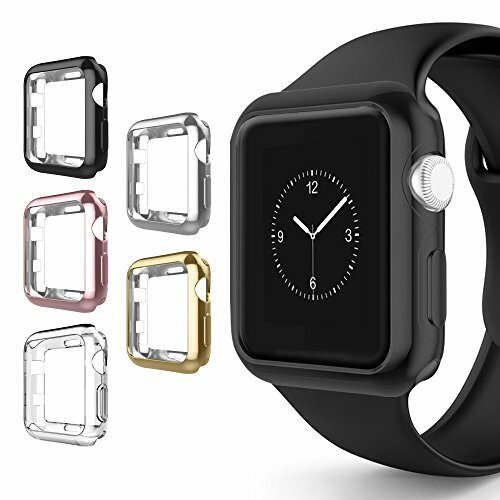 Our case is a not screen protector, but it works with most kinds of iWatch screen protectors. Please make sure you choose correct color and size before placing an order.